What number is Taeyeon in your सूची of favorites? Why Taeyeon do आप like more? Who should taeyeon end up with? give your opinion and post a picture of the lucky के पॉप guy! Among her K-pop idol peers, the Girls' Generation member received the most network संगीत दिखाना trophies in 2015. The idol was very active with संगीत promotions this year, having comebacks with Girls' Generation and TaeTiSeo, as well as making her solo debut. 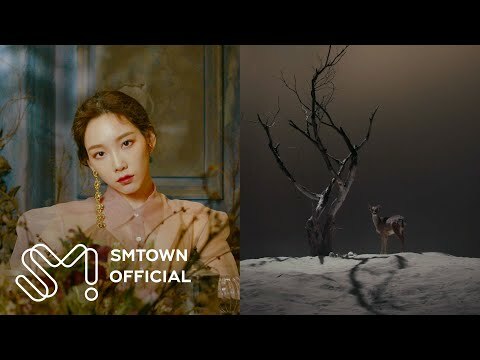 The पूर्व दर्शन for Taeyeon’s “I” संगीत video has been released. For the past few days, Taeyeon has been releasing teaser चित्रो through her Instagram and official website. Check out the संगीत video पूर्व दर्शन on the SMTOWN YouTube channel, या watch it below. On April 17th, SNSD was met with an unfortunate accident involving a male audience member who trespassed onto their stage at the “Angel Price संगीत Festival” at the Lotte World ice rink. Towards the end of their performance of “Run Devil Run“, a male audience member intruded on their stage from the back and attempted to pull Taeyeon away द्वारा grabbing her wrist.